A Splash In The Water: Accident Or Murder? Although an old topic, the mysterious case of Natalie Wood has been puzzling authorities for years and continues to do so to this very day. A case that happened about thirty-seven years ago was reopened in the year 2011 and has once again been cycled around. The case involves Natalie’s late husband Robert Wagner, Christopher Walken, and a yacht captain, Dennis Davern. While out on a yacht trip, Natalie Wood had been found floating dead in the water. Suspicions were raised over how Natalie had died, pointing fingers at Wagner, Davern, and Walken. In the most recent update to the case, Natalie’s sister Lana, speaks up about how she feels and how she wants her brother-in-law to admit to what truly happened that night on the boat. Us Weekly Magazine gives us the inside scoop with an article containing a small excerpt of audio between Lana and Wagner. The case revolves around many assumptions, theories, and thoughts of skepticism. However, when we look at it from the perspective of social psychology we can apply different concepts to help explain or dwindle down certain views or maybe even perhaps make the case even more elusive than it already is. A main concept that plays a role in this case is the concept of the confirmation bias. The confirmation bias is the tendency to look for information that helps confirm our own preconceptions. For instance, Natalie’s sister Lana opens with this statement in the thirty-minute clip found on an exerpt by US Weekly, “We all have to accept what we’ve done in life and accept the wrongs. 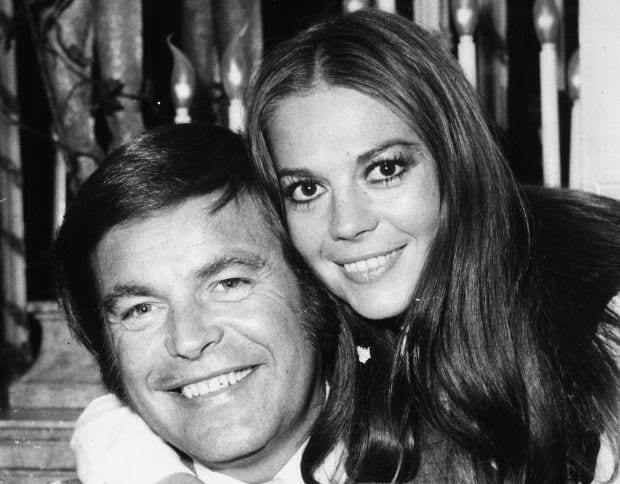 We have to all face up to it…and if that’s what he’s done, he has to face up to it.” She constantly implies that Robert Wagner was involved in Natalie’s death. She also implies that he was involved with the death of Natalie by confronting him in an interview and saying “…but R.J you’ve changed your story, you’ve never said anything to me, you’ve never for one minute stopped and said, ‘This is what happened”’, after saying that he had spoken about the events to people many times. This relates to confirmation bias by the simple fact that Lana is trying to find information to confirm her own views, and is reluctant to look or accept facts that support other possibilities. We also see the concept of illusory correlations play a role in this investigation. Illusory correlation happens when we perceive a strong relationship between two things rather than what truly exists. We have a perception that there is a prominent relationship, when there really isn’t any. In the case of Natalie Wood, there may be a high tendency of correlating two events that happened to the buildup of Natalie’s death. This tends to be rather easy for the simple fact that the case does not have a lot of people involved, and the area in which the events took place were confined to that of a boat. A prime example of this illusory correlation would be surrounding the idea of Natalie and Robert fighting earlier on in the night. Many times when we see that a spouse of someone has died rather unexpectedly or abruptly, we like to trace it back to the other half. For example, if a man’s wife had suddenly died due to some freak accident, many people would be inclined to believe that the woman and her husband had had a bad marriage or some sort of conflict that lead the man to do something horrible to his own wife. People would assume that they had gotten in an argument that lead to extreme anger leading the man to lash out regardless of previous judgements of the couple. However, there is no true correlation between this woman dying and her husband being involved with the murder. However strong the correlation between fighting and something bad happening preceding a fight is, we cannot conclude in complete confidence that Natalie and Robert arguing, lead to Robert murdering his own wife. Perhaps by looking at the mind puzzling case without preconceptions and wants of our own, we could see it in a different light and by chance find new facts. The reason I say this is because our own needs to fulfill our confirmation bias, as well as illusory correlation, blinds us from seeing other possible options. I think this post is interesting by just the fact that it has reappeared in 2018 when the incident happened in 1981. I agree that confirmation bias and illusory correlation are at play in Natalie’s sister, Lana’s US Weekly interview. But also in regards to Lana, I think overconfidence phenomenon is also at play. I believe this is so because there is no definitive proof that Robert Wagner killed Natalie Woods, else he would have been convicted already. Unless Wagner were to confess to the murder of Natalie Woods, or Christopher Walker or the ship captain were to admit he saw something, Wagner is innocent until proven guilty, even 37 years later. But Lana speaks as if she knows that it was Robert that killed her sister; maybe it is the bond she must have shared with her sister but I think she is overconfident in accusing Wagner of murder. Overconfidence phenomenon is almost dangerous here because if Wagner is actually innocent, she is bringing up a murder charge on an innocent man. However, if Wagner did actually kill his wife 37 years ago, Lana’s overconfidence phenomenon could maybe make him confess. Lana is clearly desperate for answers (as we would all be), and this desperateness has caused her to be too confident that she knows that Wagner killed her sister. I think that this is very interesting case due to it being open for so long and it not really having much movement but everyone feels to put their opinions in. I think something to think about would be that a lot of people when information comes out goes straight to saying “I knew it all along” which directly correlates to hindsight bias. In many murder cases when new information comes out people like to say that that obviously makes sense and they could have predicted that. This correlates to the other terms brought up in this blog such as confirmation bias. Both very similar theories but still a bit different because hindsight bias is when tendency of people to overestimate their ability to have predicted an outcome that could not possibly have been predicted while confirmation bias is the tendency to interpret new evidence as confirmation of one’s existing beliefs or theories. Previous Previous post: You Know How You Feel About Nike… Have You Ever Thought of Why?